I got an inspiration from Pinterest for this card. 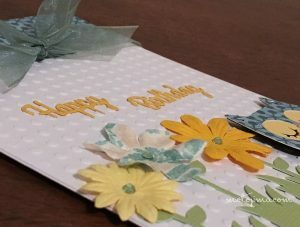 I am trying to figure out how to use up some of the papers I don’t like as a card, then the pattern paper seemed perfect for this card. 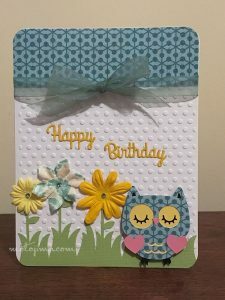 Again… I used ‘happy birthday’ die cut. 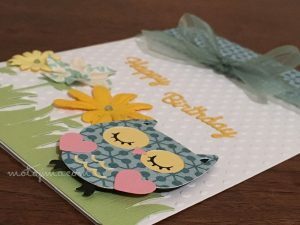 This entry was posted in Handmade cards and tagged birthday card, birthday card with owl, cricut, cuttlebug, handmade card, handmande.